When stitching 360 videos, usually there is a compromise between quality and speed. However, Argon 360 is a hardware-based real time stitching solution that can stitch 360 video in high quality, using multiband blending techniques to minimize stitching artifacts. 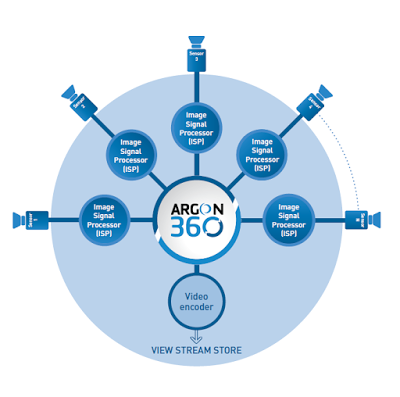 The Argon 360 can stitch ​at video framerates with very low latency, making it possible to use it for livestreaming. For example, it can be used with 6 sensors (each at 1080 30fps) and stitch the videos to output 4k 30fps 360-degree video. It is also scalable, and can be used with two sensors or several sensors, for consumer cameras or professional video.